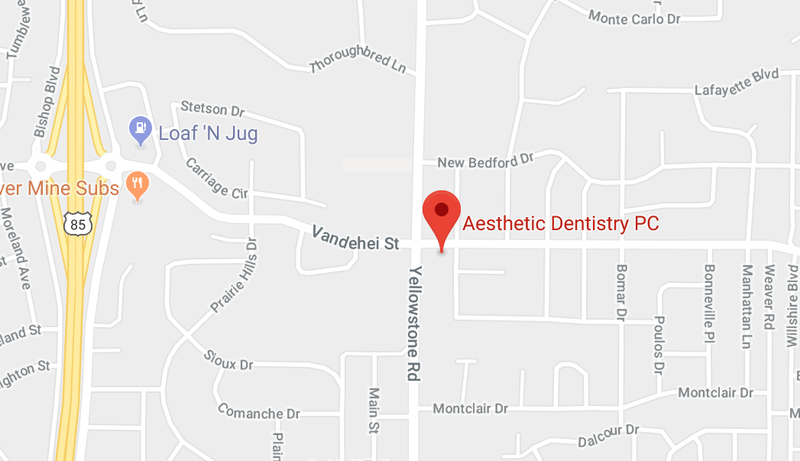 Aesthetic Dentistry is a full service dental office and we cover all areas of dentistry. We recommend a comprehensive x-ray and exam appointment which will provide us with the information we need to develop a treatment plan tailored to your specific dental needs. At that time we offer a complimentary 1-on-1 consultation appointment with your dentist to discuss your recommended treatment plan. Our patients tell us that we are the only dental office in Cheyenne that does this – they really appreciate that we take the time to explain their dental treatment options and it’s a good time to have any questions answered!